1. Caroline M A MARTIN, daughter of James MARTIN (c. 1807- ) and Maria UNK (c. 1816- ), was born circa 1843 in Marylebone. She was a Teacher. Listed, aged 18, in the 1861 census as a teacher. 2. James MARTIN was born circa 1807 in St. Pancras, Middlesex. He was a Printer & Stationer. He appeared in the census. He celebrated his Bar Mitzvah. He married Maria UNK. He was a "Printer Stationer Employing 11 men 5 boys 2 women 3 girls"
In 1881 he was a "Master printer & bookbinder, employing at present 17 men, 4 boys and 4 females". The image of James Martin may possibly of his son Thomas instead, but seems not to resemble the latter. On that basis it has been surmised to be an image of James Martin, without certainty. William H MARTIN (c. 1832- ). William was born circa 1832 in Marylebone. He was a Printer. John MARTIN (c. 1839- ). 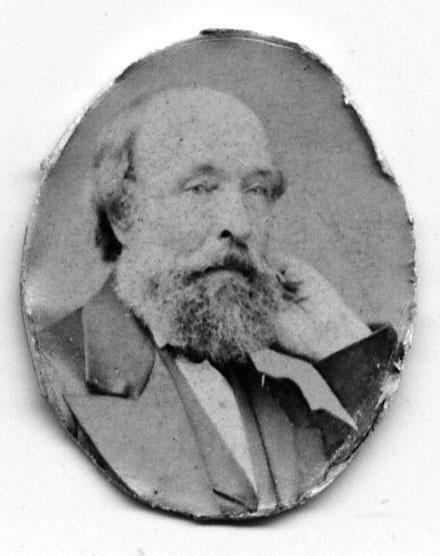 John was born circa 1839 in Marylebone. He was a Printer. Alice A MARTIN (c. 1845- ). Alice was born circa 1845 in Marylebone. She was a Printer. Thomas Charles MARTIN (c. 1859- ). Thomas was born circa 1859 in Marylebone. He was a Printer, Bookbinder, Stationer. He appeared in the census. He celebrated his Bar Mitzvah.